Make your loved one's Day more enchanting with perfect flower compilation as you send Valentine Flowers To Hyderabad online. Flowers are the timeless gifts that have the power of lifting up the mood of anyone who sees and takes in their beautiful fragrance. 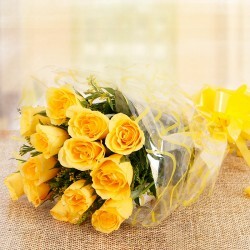 Deliver Valentine Flowers from a wide selection of flowers at MyFlowerTree. Get your tokens of love delivered to your sweetheart’s doorstep by sending Valentine flowers to Hyderabad, India with MyFlowerTree. Yes, flowers are one of the best ways of expressing your feelings for your loved ones. Flowers are an expression of love, care, affection, and gratitude. Although there are a variety of Valentine gifts available in gift shops, among all of them, a bouquet of flowers can convey all your deepest emotions that others fail to do. There is no doubt in saying that flowers are a crowd-favorite gift when it comes to celebrating Valentine’s Day. However, these days finding a fresh bunch of Valentine flowers that can instantly put a smile on your beloved’s face is not an easy task. Most of the florists sell poor-quality flowers on Valentine’s Day. 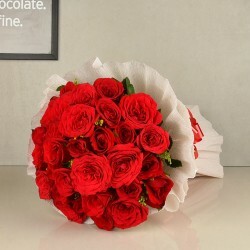 But, MyFlowerTree ensures flower delivery in Hyderabad on Valentine’s Day through which now you can deliver freshly-arranged Valentine flowers to Hyderabad for your girlfriend and make her feel special. 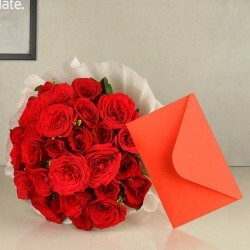 We have the right color of Valentine flower to deliver your true sentiments for your sweetheart. If you want set a romantic mood, choose Valentine flowers from us that have rich colours such as red, purple, pinks etc. Well, if you are not in a relationship yet then, go for yellow flowers because friendship is the first stage of love. We have roses, carnations, lilies, orchids, gerbera daisies and many more flowers that will help you show your unconditional love for your beloved. 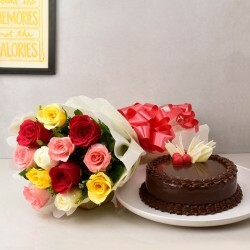 So, this February 14th, avoid the rush, order flowers online in Hyderabad from us comfortably seated at anywhere. 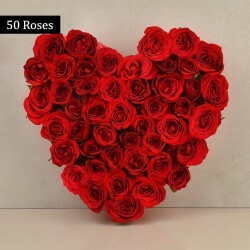 There are various types of Valentine flower arrangements available at MyFlowerTree. From heart-shaped arrangements to vase arrangements, basket arrangements, box arrangements and many other. Our Valentine flowers are also available in combos comprising of delicious cakes or chocolates or greeting cards or teddies. So, you can make the Valentine surprise even special for your sweetheart with our amazing Valentine flower combos. To send flowers to your special one living in Hyderabad, all you have to do is to select the date, time, and address of the recipient. Then, place your order online. While sending flowers for your beloved , you can also send Valentine gifts to Hyderabad to make the day memorable for your special someone. 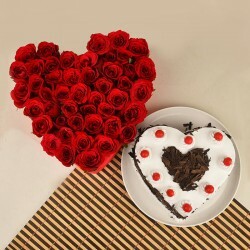 Our Valentine gifts include mugs, cushions, grooming hampers, cakes, plants, jewellery, chocolates, perfumes, and so on. 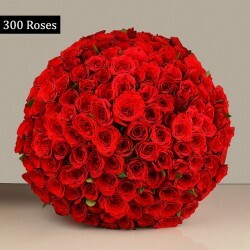 One of the USPs of MyFlowerTree is that it ensures same day flower delivery on Valentine’s Day in Hyderabad and in 350 other cities across India. 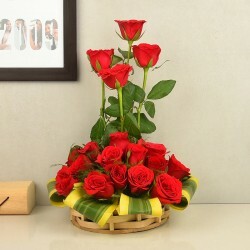 We provide fast delivery of Valentine flowers in Hyderabad to our customers. Therefore, even if you want to send Valentine flowers to Hyderabad for your beloved at the last minute, you can rely on us for that. 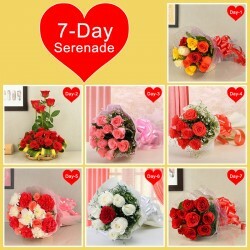 We also provide Valentine flower delivery in countries like USA, UAE, UK, South Africa, Australia, Canada, Sweden etc. So, this Valentine’s Day, enjoy a quick and hassle-free Valentine flower delivery with us. Products in this category have been rated 4.5 out of 5 based on 146 reviews.